Attract customers with decorative wafers. Our old fashioned sandwich wafers can be used with your scoop of ice cream, soft serve, and ice cream slices. 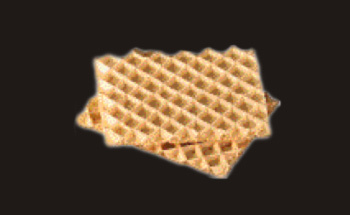 These wafers can also be used in bakeries to make pastries.